François Rechenmann, 56, graduated in computer science from ENSIMAG/INPG in 1973. He got his PhD thesis from INPG in 1976, with the support of a CNRS grant. From 1976 to 1977, he worked as a scientist in the european Joint Research Center at Ispra in Italy (JRC-EURATOM). Since 1978, he is a researcher (senior researcher, "directeur de recherche", since 1983) of the french national research institute in computer science (INRIA). He has contributed to the MODULECO projet (development of methods and software for large econometric models) and the EDORA project (dynamical systems in ecology), before creating the SHERPA research group on object-oriented knowledge modeling, in Grenoble in 1988. 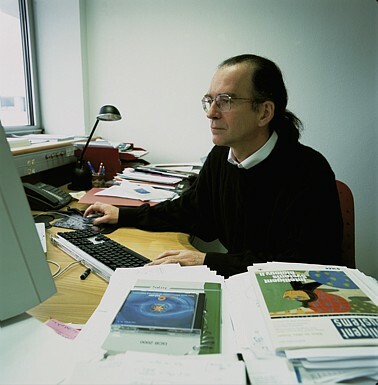 François Rechenmann created the Helix research group in bioinformatics (INRIA Rhône-Alpes) in 2000 and has been head of the group until december 2004. During that time, he was also the scientific director of the Genostar Consortium, which developped the technological foundation for IOGMA bioinformatics software. Still with the Helix team, he is also scientific advisor to the Genostar company, which is marketing IOGMA commercially. His research within Helix is devoted to the modeling and simulation of gene interaction networks and the development of e-learning environments in bioinformatics.